Nylon lanyards are comfortable and stylish gift or promotional product that your company’s team is sure to love. Available in several bright colours, you can have the company logo printed on the sleek fabric to promote your brand with pride. 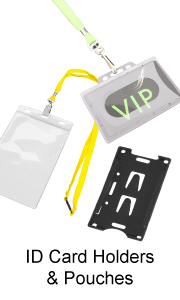 Customized lanyards provide many perks, the most notable being an easy method of carrying ID for staff. 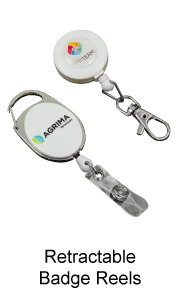 They can also be used to hold other essential items, and make displaying company branding simple. You won’t regret choosing this affordable and attractive option to provide team members with a product they will actually use. 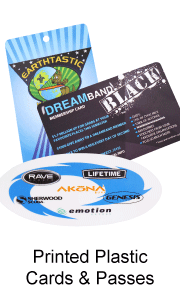 What Makes Printed Nylon Lanyards A Great Choice? If you're looking for a notable gift that will serve your business in a lot of ways, nylon lanyards are the way to go. Firstly, they can earn you a respectable reputation with other companies, and serve as a well-planned marketing move. Being very practical and helpful in the everyday life of recipients, lanyards will be around their neck in a lot of different situations, serving as a constant reminder of your brand. In some occasions, lanyards will also be publicly presented to others. Nylon lanyards are an excellent alternative to polyester lanyards, the most common type. 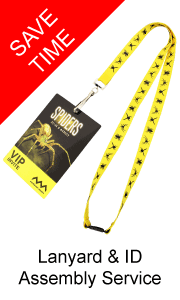 These lanyards may be worn almost everywhere — from important meetings, as a holder of the recipients’ ID cards or company badges, to private travels, when they can secure the recipients’ documents, cameras or mobile phones. Nylon has a premium high lustre finish, which means that your logo will be presented very clearly. Screen printing is available in up to 4 colours, and the lanyard material comes in a large range of standard colours. Pantone colour matching is also available. In addition to a wide colour choice, you can choose from an assortment of widths (1/2", 2/3", 3/4", 1" (10, 15, 20 & 25mm). Our standard length is 900mm before being sewn, but custom lengths are also available. All nylon lanyards are washable and if machine washed should only be done so with cold water and a conservative amount of cleaning product. Flat nylon lanyards are a sleek and stylish way to display your company logo without reducing staff comfort. Display your staffs’ ID with ease with this simple, highly affordable option. Made from durable material this product will go the distance and our range of 15+ colours help make your product even more customizable and noticeable than before. Get in touch with us today for a free quote and help promote organization and efficiency in your company with one simple, useful purchase!